H. Drexel Dobson III, MD, FACS, believes that his patients always come first. He devotes all the time and attention needed to each individual patient, no matter how simple or complicated the problem may be, and he likes to partner with his patients and their families to ensure the best outcomes possible. Dr. Dobson values compassion, empathy, and respect when interacting with his patients and their families. Dr. Dobson is always available 24/7 to answer questions, provide reassurance, and address issues. His patients’ health and well-being are the most important thing to them; likewise, Dr. Dobson makes those things important to him. Dr. Dobson is one of most experienced da Vinci Robotic general and colorectal surgeons, and has revolutionized laparoscopic surgery in this area with the use of single incision surgeries to remove gallbadders, appendixes, colons, and repair hiatal hernias. He also performs Nissen fundoplications, which is a laparoscopic surgical procedure to treat gastroesophageal reflux disease (GERD) and hiatal hernias. When needed, he also performs old-fashioned open surgery. 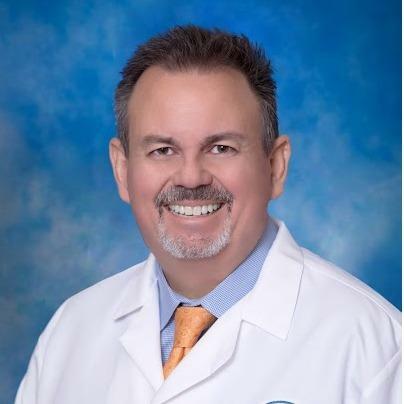 A native of Cocoa Beach, Florida, Dr. Dobson earned his medical degree at the University of Miami Honors Program in Medicine and has extensive training in his field. He completed his fellowship in Colorectal Surgery at Cook County Hospital/University of Illinois, Chicago and completed his residency at Rush University,/Cook County Hospital's inaugural integrated general surgery residency program in Chicago. He is board certified in general surgery and is a Diplomate of the American Board of Surgery. Dr. Dobson has taken care of thousands of patients throughout his career, from infants and children to the eldest of our community and including several major local celebrities and community leaders, as well as the families of our doctors, nurses, and support staff. He is greatly respected by those that have watched him care for their families and loved ones. Dr. Dobson’s philosophy is very simple: take care of each patient the way you would want your family member to be taken care of, and everything will be for the best. It is Dr. Dobson’s expectation that this philosophy be shared by all members of his healthcare team in the care of each and every patient he interacts with. Dr. Dobson considers it a privilege and an honor to be entrusted with someone’s life. Upon graduation from the University of Miami’s Honors Program in Medical Education, Dr. Dobson took both the Oath of Maimonides and the Hippocratic Oath. He respects every patient and their family’s religious, spiritual or other beliefs, and will respect and honor their individual situations, to the best of his human abilities.